As the world awakens to the breakdown of the biosphere due to industrial logging, agriculture, extraction and development, For The Wild will be planting millions of trees and the entire community of species, from the understory plants to the fungi that connect them. The nursery, the seed bank and fungus bank, and surrounding research forest will function as a living library and ark to safeguard endangered genetics and to reintroduce them where they have been lost. With a groundswell of community support and the guidance of the indigenous nations, we will speed the return of diverse and welcoming forests to barren clearcuts and pastures. Your support will allow us to begin this work of mending the web of life immediately. Thank you each for supporting us in this project. We appreciate your patience as we fulfilled these reward packages. Each reward we offered, we wanted ensure it was in integrity with our mission. We believe the way we do anything is the way that we do everything. For the ART BUNDLES, the frames were made by our team members of old growth wood from the land of For The Wild headquarters in Northern California. The TINCTURE was made with organic spirits provided by Humboldt Vodka and redwood tip's also from the land. Each additional offering was donated by a community of artisans and makers who, too, believe in the power of community supported reforestation. The ONLINE CLASSES will be scheduled shortly, as summer is high season for our teachers. RECIPROCITY RETREAT attendees should have received an email with a Welcome Packet + Survey about the retreat, please send an email to engage@forthewild.world if you have not received this message. Please be in touch at engage@forthewild.world with any additional questions regarding rewards. Since the completion of our incredible community supported Kickstarter campaign, the forest has gifted us many lessons. We are seeing ever more clearly how severely industrial logging has impacted the forests we hold dear. Not only have we lost 98% of original temperate rainforest, but the natural processes in the forests that still stand have been significantly compromised. While these challenges, at times, have felt insurmountable, we come into summer revisioned and empowered to carry out our reforestation projects as close to the way nature would do them as possible. Guided by mentors such as forest ecologist, Peter Wohlleben, and biomimicry pioneer, Janine Benyus, we are crafting a research plan for biodiversity enhancement test plots. These test plots will employ a succession of native seed and fungi bombs, building soil and encouraging mutualistic relationships between species. This research aims to explore evolutionary succession and functional adaptation on renewing lands in the context of climate change. We have also been learning how extensively industrial logging has depleted and privatized the availability of viable tree seeds. In light of this, the collection and preservation of wild seeds is emerging as a vital arm of this work. 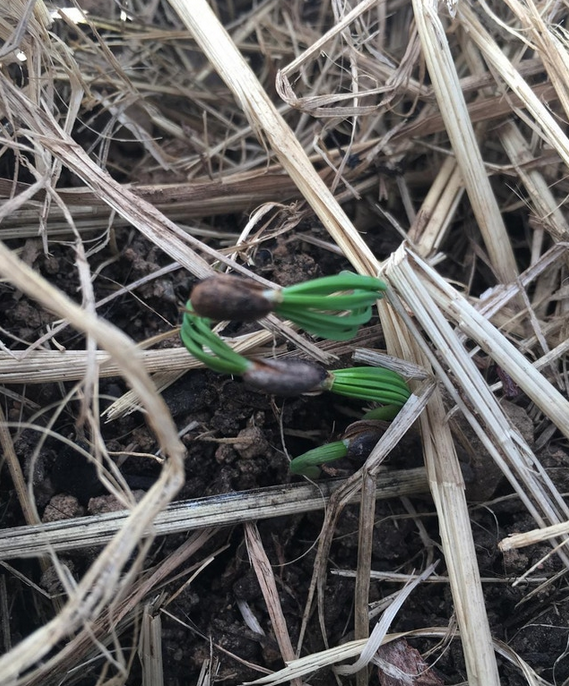 We are so excited to have connected with a network of local landowners, who have granted us permission to collect seed on over 6000 acres. With guidance from the California native plant society, we have also begun to index endangered species of the bioregion and catalogue locations of healthy populations. We believe it is of the utmost importance to observe and study these wild populations as the climate grows more unpredictable. Your cherished support allowed us to plant our first round of 40,000 trees, including beloved coast redwood, ponderosa pine, Monterey pine, grand fir, noble fir, and black elder. These sprouting seedlings are only the beginning. Our blossoming partnership with the Redwood Forest Foundation will bring the planting of an additional 4,000 redwoods this year. 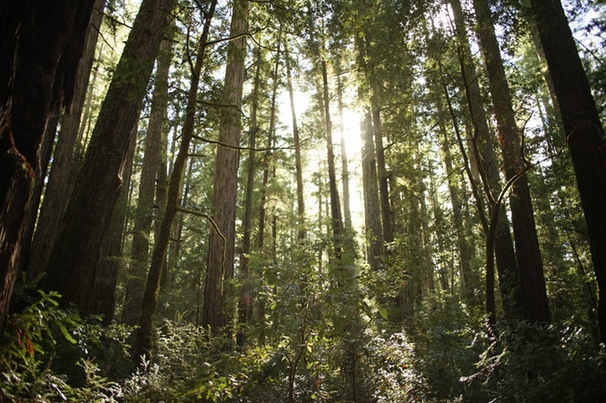 We have also joined in partnership with Art For Trees Foundation and are in conversation about future collaboration with Trout Unlimited, Ridgewood Ranch, Trees Foundation, Bureau of Land Management, Mendocino Land Trust, and the Pomo and Cahto nations. Sign up below to join our Mobilize! Newsletter. As always, listen in and subscribe to our weekly podcast about land based restoration, wilderness conservation and storytelling rooted in a paradigm shift away from human supremacy towards deep ecology.